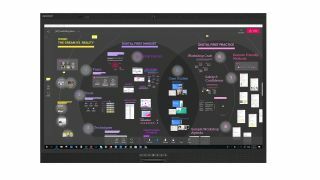 At Enterprise Connect, Avocor announced an alliance with Lenovo that will integrate Avocor interactive displays across Lenovo Enterprise clients and expand Avocor’s market presence. As part of the alliance, Lenovo will include Avocor in its Vendor Label Hardware Program this spring, which includes listing Avocor displays for purchase through Lenovo global sales. With workplace optimization becoming an increasingly important priority for enterprise customers, Lenovo smart meeting room solutions are designed to help conduct and manage meetings, technology, and information quickly and simply, allowing participants to focus on exchanging ideas, being creative, and engaging in effective communication. Avocor and Lenovo are working to co-develop solutions for collaboration spaces and will also include Avocor’s existing E series, F series, and the new Windows collaboration displays by Avocor. Engineered to enhance teamwork as well as room and device monitoring through its Azure IoT sensors, the Windows collaboration displays by Avocor features advanced touchscreen technology and are fully compatible with Windows 10, delivering Microsoft 365 at room scale. Avocor and Lenovo are also currently validating equipment to provide guidance to enterprise clients about matching the ideal interactive display with compute for each environment, from conference rooms to executive offices, to huddle and casual spaces. Avocor displays will be in Lenovo’s booth 933 at Enterprise Connect 2019, in the Microsoft booth 507, and you can see Avocor and Lenovo at work in Avocor’s booth 1302. Lenovo will begin offering its clients Avocor solutions in May 2019 and will work with joint channel partners to create bundled solutions to ease collaboration later this spring.